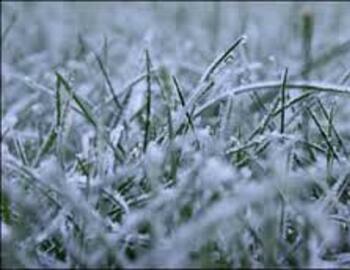 It's that time of the year again when we are going to experience frost on grassy areas. I would like to take this time to point to the potential damage walking on frost can cause. Although you wont see any immediate impact to the turf, the evidence will show itself in the next 2-3 days. The grass will die and turn brown. Not only will this damage prove to be an eye soar but it will also decrease the quality of the turf for play. In order to avoid these situations we will have frost delays from time to time during the winter months. Please respect the golf course and keep off all grassy areas during a delay. This will ensure that we keep playing conditions in top shape for all golfers!